The Meaning of the Om Symbol. ‘Om‘, ‘Ohm’ or ‘Aum’ is a sacred sound that is known generally as the sound of the universe. … The meaning of the Om symbol, while purely looking at its visual form, comes from the states of consciousness that Aum represents. When the Om mantra is chanted, the frequency of the vibrations is said to be 432Hz which happens to be the vibrational frequency of everything in the universe. The OM mantra is a universally chanted mantra even though it has its origin in Sanatana Dharma. The fact that it has spread and transcended various boundaries clearly shows and proves it significance. 1. 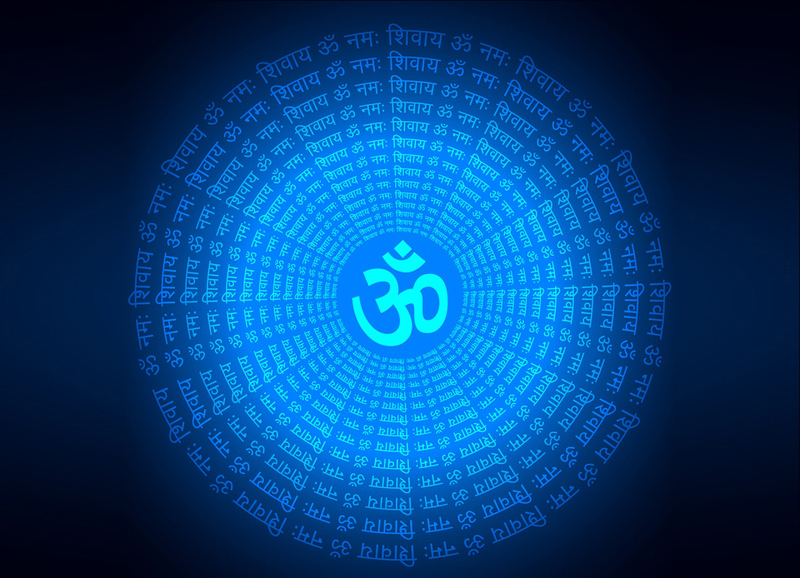 When the Om mantra is chanted, the frequency of the vibrations is said to be 432Hz which happens to be the vibrational frequency of everything in the universe. This scientific finding is the justification of the saying ‘in harmony with the being’. 2. Not to long ago, scientists conducted a research in which the subjects had never chanted Om mantra were asked to chant it for few minutes and each of their chants were recorded. The time frequency analysis of it showed irregular waveforms which indicated unsteadiness in the mind. They were requested to chant the mantra frequently for a few days, the experiment was repeated. The time-frequency analysis this time had some surprising insights. The waveforms were improved with regular spacing, had almost perfect symmetry and harmony. Not only had these participants witnessed dramatic improvements in focus, concentration & steadiness, but found themselves to be in peace, witnessed reduction in mental stress & could remain calm all the time.